The old adage, simple is best, rings true when you lay on eyes on these baby mobiles. 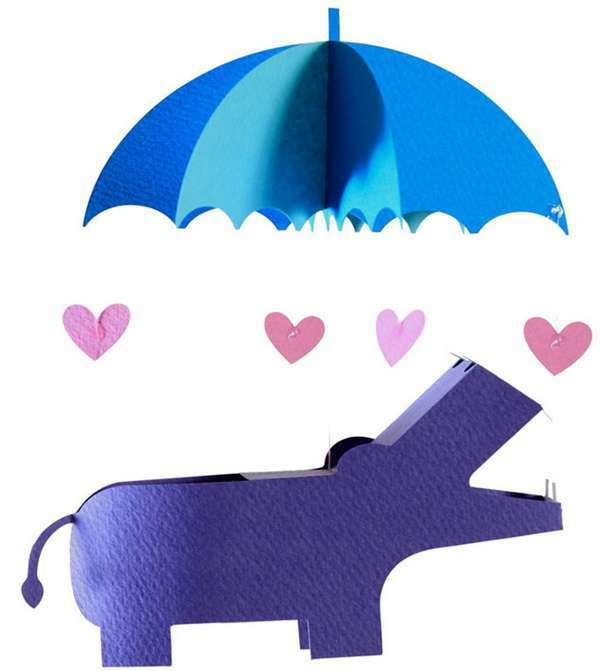 Simplicity at its best – with a bit of do-it-yourself thrown in. 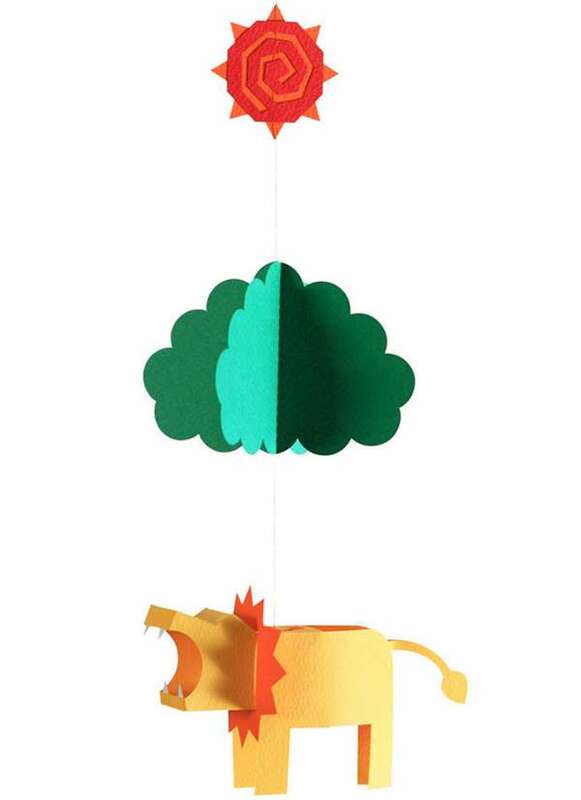 Designed by Sororfactory, the Japanese-made Paper Baby Mobiles come in kit form, and are made from premium, uncoated colour paper pieces. The pieces come pre-cut, and all you need is some of that handy stuff that Mister Maker likes to refer to as “gloopy glue” – or PVA, to stick it together. 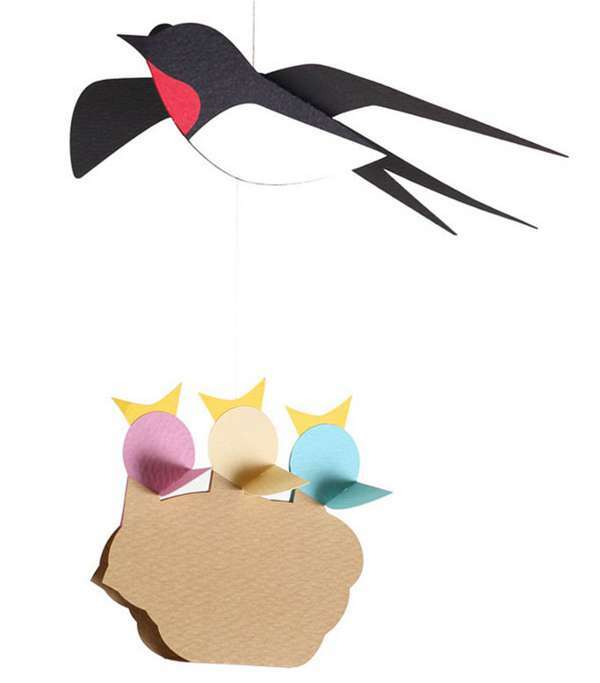 Once assembled the mobiles measure between ten and twenty centimetres, and if you have children who are a little older, they could even have a go at putting it together. They come in a few designs, including hippo, swallow, space rocket, lion, train and mice with cheese. They cost £10 each, plus postage from The Kid Who.